Mmmmm...Nothing quite like a frozen treat to cool you down on a hot summer day - especially when it is totally made by you, and nothing but healthy goodness! 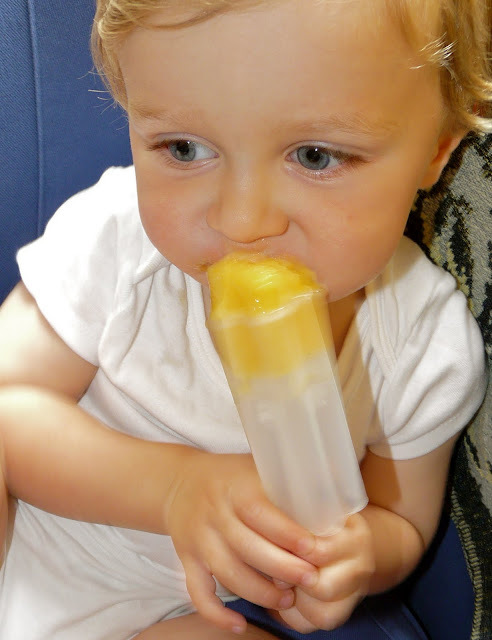 I have been tinkering about in my kitchen lately with the help of a very willing taste tester, and came up with a few yummy recipes for frozen goodies. These recipes generally fill 6 popsicle molds. Enjoy! 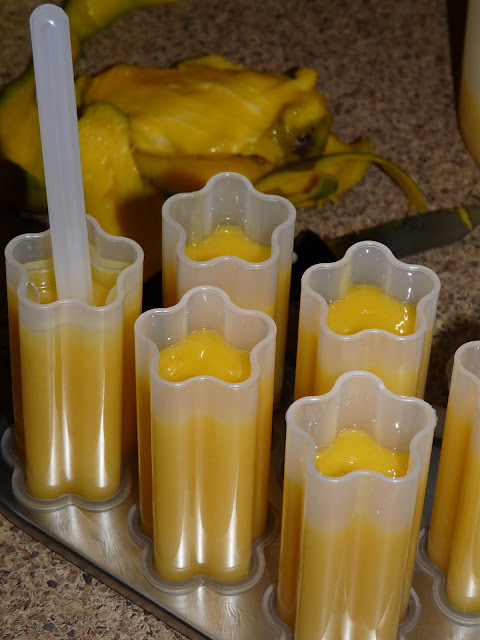 Blend & pour in molds. The molds I use are the star shaped molds by Cuisipro. Obviously any molds will do, but I do especially love these ones because they are nice and tidy. 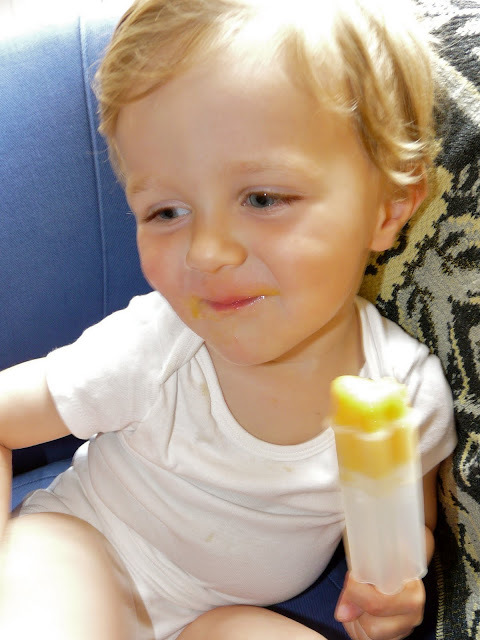 Being push pops, your little one only ever has as much popsicle as they can handle. Lucky little boy with all your experimentation! We've been trying different concoctions in our ice cream maker this summer. It's so much fun to make these frosty treats at home. Thanks for sharing these recipes!